Wonder Crew Superhero Buddy Just $20.99! Down From $40! You are here: Home / Great Deals / Amazon Deals / Wonder Crew Superhero Buddy Just $20.99! Down From $40! Your kids would surely love to have this! Wonder Crew Superhero Buddy is now on sale at Amazon for just $20.99 down from $39.99 PLUS FREE shipping with Amazon Prime or for orders over $25! Wonder crew was developed by a licensed therapist to promote social and emotional learning, build confidence and imagination, and empower boys to see themselves as important, creative and strong people. 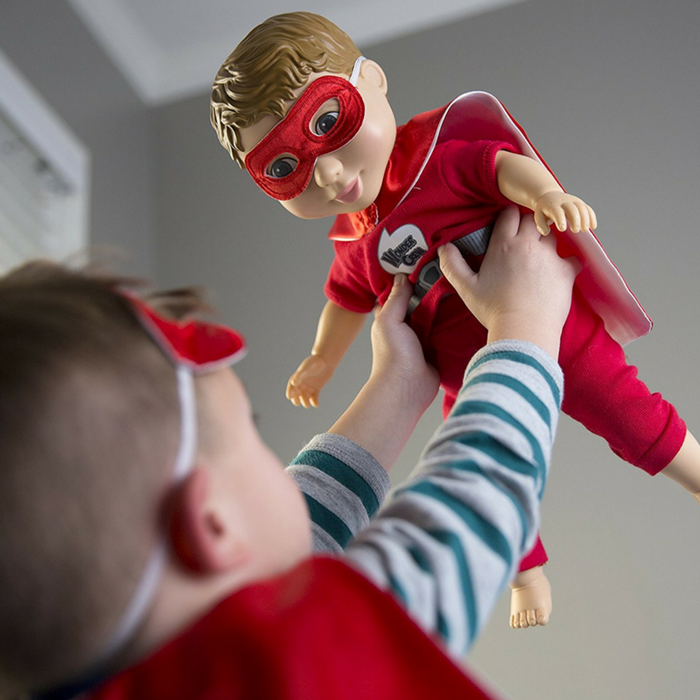 Wonder crew combines the adventure of an action figure with the emotional connection of a stuffed animal to give children a best friend! He’s an awesome sidekick and confidant who will go everywhere your child goes there’s limitless action-packed, loving, imaginative times ahead! the 15″ buddy has a smooth vinyl head, arms and legs, and a soft huggable body! He comes with a superhero outfit, cape and mask, plus a matching cape and mask for the child because it’s “adventure through friendship!”.